THE sweet taste of victory for the South African senior men’s basketball team in their opening game against Zimbabwe brought along with it a bitter injury blow to team captain Neo Mothiba. Mothiba landed awkwardly on his left foot in the second quarter during the host nation’s 70-61 victory over their cross-border neighbours in the Fiba Zone VI Games at the University of Pretoria’s indoor centre on Sunday and he did not take part in the team practice yesterday at the match venue. 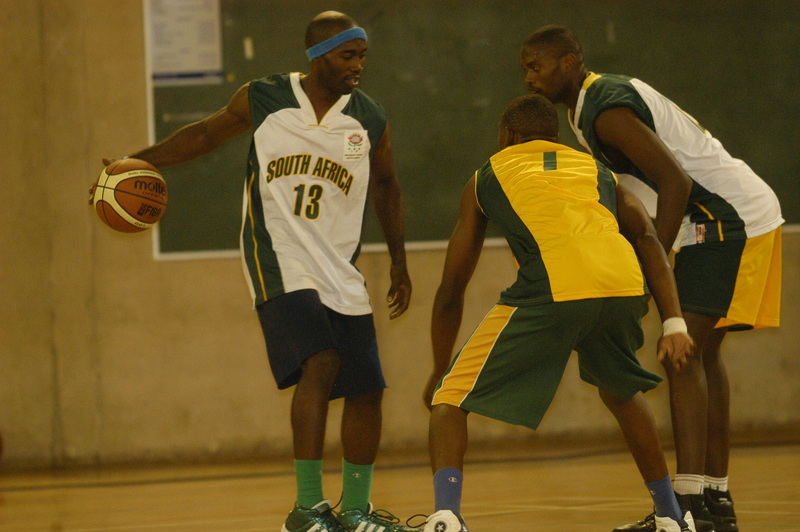 Team coach Flosh Ngwenya lamented the loss of his skipper, but was still confident that he enough material in his squad to do the business for the team in the competition, which serves as qualifier for the for the All Africa Games to held September in Mozambique and the Afrobasket competition to be held in the Ivory Coast. “Definitely it’s a big loss for us. He (Mothiba) is our best player team. 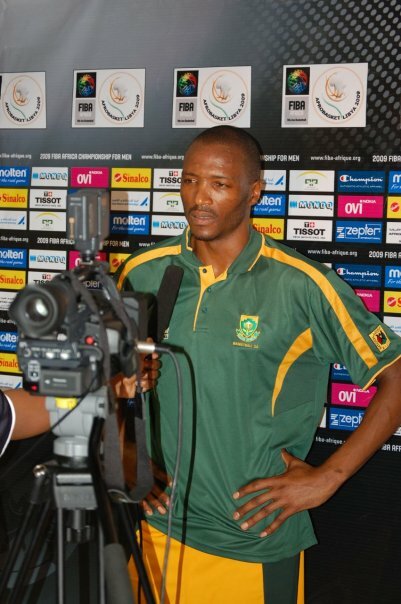 He is our leader and he is a very important part of what we are trying to do in the competition,” said Ngwenya. But will go for a second opinion and if he is injured we do have 11 other players in the team to do the job for us. Another injury concern for Ngwenya is guard Brendon Metler who left yesterday’s practice with a back injury but Ngwenya did not let the injuries to his players disrupt his plans as the team were hard at working preparing for the match against Malawi tomorrow. “Malawi are one of those teams that play scrappy, but have a never say die attitude. So we need to be prepared physically and mentally for them (Malawi). And we have to make adjustments where necessary for this match as I was not particularly impressed with the way we played against Zimbabwe,” said the former Vaal Tech Rhinos player who put emphasis on correcting the mistakes in the opening match. “I think yesterday we made too many mistakes in the opener. For example we had too many turnovers and now we are working hard to eliminate those mistakes so that we better prepared”Ngwenya remained grounded ahead of the clash against Malawi and said the victory over Zimbabwe did not put them on cloud nine. “We are under no illusion about Malawi.We have to respect them,” said Ngwenya. Ntunja also believes teamwork will help the team prevail in this tournament. “What I like about this team is that there are no super stars we function as unit and that is what will help the team prosper in this tournament,” said Ntunja. While the men’s team was successful against Zimbabwe the women’s senior national team lost against Mozambican counterparts 87-56 and they will have to double their efforts against today against Zambia in order to qualify for the women’s basketball competition in the All Africa Games and the women’s Afrobasket in Mali.